How do medical staff identify and monitor seizures? Recognizing a neonatal seizure can be difficult because babies often don’t exhibit external signs when experiencing seizure activity. This is why seizures in a baby can often be missed unless a nurse or physician sees signs that prompt them to perform an EEG. Oftentimes, the only sign that a baby is having a seizure is activity on an EEG system (electroencephalography – brain activity monitoring). However, new technology allows for continuous monitoring and instant detection of all seizures, including silent seizures that show no visible/external seizure indications. Neonatal intensive care units (NICUs) throughout the country are utilizing this continuous EEG monitoring technology to greatly improves outcomes by reducing the time until seizure detection, diagnosis, and treatment. Babies at risk of having seizures, as well as those who have already had one, must be closely monitored. When continuous EEG monitoring is not available, the medical team can look for signs of seizure activity in the baby. Devices that monitor the baby’s breathing, heart rate, and blood pressure can alert the team that a baby is experiencing a seizure. Seizures can be treated with anti-epileptic medication and by addressing the underlying cause of the seizure activity. If anti-epileptic medications are used, it is critical to monitor the baby. Anti-epileptics can be dangerous in many ways, including being toxic to the brain. In addition to standard monitoring, levels of the drugs in the blood must be monitored, and liver and kidney function should be assessed. 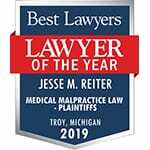 If your baby experienced seizures and has permanent disabilities such as cerebral palsy or intellectual impairment, please contact the birth injury attorneys at Reiter & Walsh ABC Law Centers. For decades, our award-winning attorneys have been helping families whose children experienced seizures at birth or shortly thereafter. 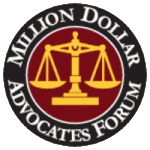 We have numerous multi-million dollar verdicts and settlements that attest to our success, and we will fight to obtain the compensation your child deserves for lifelong treatment, therapy, and a secure future. We will evaluate your case to determine if your newborn suffered injuries due the negligence of the physician or medical staff, and you never pay any money until we win your case. Email or call us at 888-419-2229.